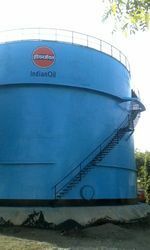 We are leading manufacturer of storage tanks for all type of products and all application, with different material of construction. Vertical tanks, Horizontal tanks, Under ground tanks, Pressure tanks, Vacuum tanks, Bulk storage tanks, Floating roof tanks Mobile tankers. MS tanks, SS Tanks, Polymer tanks, Rubber lined tanks, FRP coated tanks. Factory fabricated tanks, Site fabricated tanks. Tanks for Water, Oil, Petroleum products, Acids, Chemicals, Fuels, Compress air, Gas, Fire water etc. We are also engaged in manufacturing, supplying and exporting a wide range of SS Stainless Steel Storage Tanks. In accordance with the international quality norms, these tanks are designed and developed using premium class materials and modern technology methods. These tanks are widely demanded in various industries for their smooth performance, easier operations, less maintenance and longer serving life. 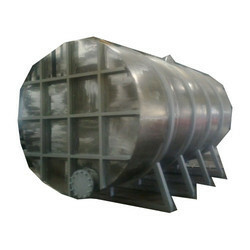 We are also engaged in manufacturing, supplying and exporting a wide range of MS Steel Storage Tank. In accordance with the international quality norms, these tanks are designed and developed using premium class materials and modern technology methods. These tanks are widely demanded in various industries for their smooth performance, easier operations, less maintenance and longer serving life. Ms steel tanks, vertical, horizontal, above ground, underground, dish end, flat end, conical end, floating roof. Shape Available Vertical, Horizontal, Above ground, Dish end, Flat end, Conical end, Floating roof. 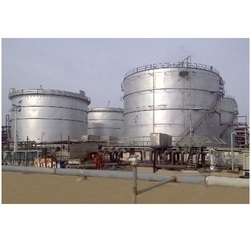 We are also engaged in manufacturing, supplying and exporting a wide range of Tank Farm Chemical Storage Tanks. In accordance with the international quality norms, these tanks are designed and developed using premium class materials and modern technology methods. These tanks are widely demanded in various industries for their smooth performance, easier operations, less maintenance and longer serving life. Bulk Storage Tanks, Loading / Unloading terminals, storage depot.